For me clowning is making genuine contact. 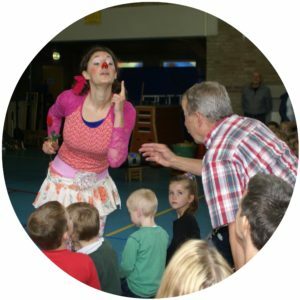 The clown provides connection. 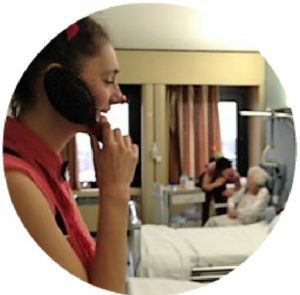 Moments of connection with people that have a hard time; people in the hospital or institution, people without a home. 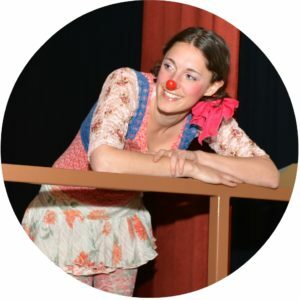 The clown brings humour but also honesty and space for emotions. 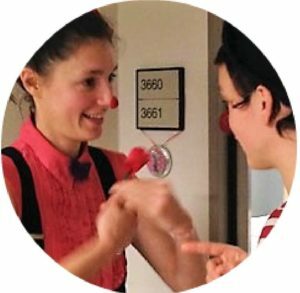 This is what I bring as a contact clown; a moment of connection with people. 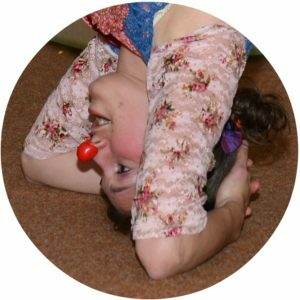 I started clowning about 10 years ago. 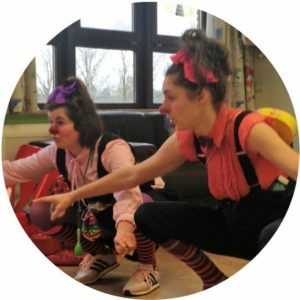 I worked as a drama therapist and knew the power of the medium play. Through clowning I learned to look at my emotions with honesty. Because to truely have contact in the moment with another person, you first need honest contact with yourself. 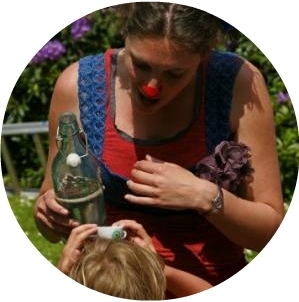 After this trip within myself (that will never really end) I started to perform, do street improvisations and clown in institutions and hospitals. Every time I experience how valuable and touching a moment of genuine contact can be. 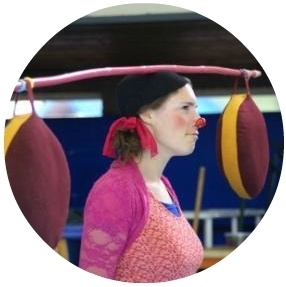 For more information on contact clowning for your organisation, contact me! 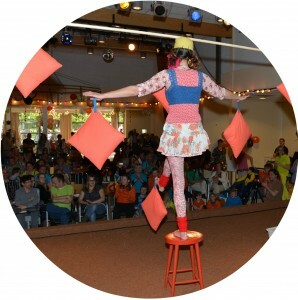 Performances and streettheater filled with energy, sincerity and fun. There is dance, acrobatics and music. There is contact and vulnerability. Failure becomes possibility. Reality is put into perspective. Serious themes are made manageable in a humoristic way. Clowning is for me vulnerability, honesty and spontaneity. No thick layers of make-up or a big wig to hide behind, but a clown that shares it’s feelings and experiences in the moment. Clowning became a lifestyle for me. It helped me experience emotions in the present moment, to let them exist completely and share them with the people around me. Clowning helped me to relativate the seriousness and heaviness of life. I learned to see the lightness and humor in many situations. I hope to share this honest and light way of living in my presence (as clown). Contact me for information on performances, acts, streettheater and theater on events!